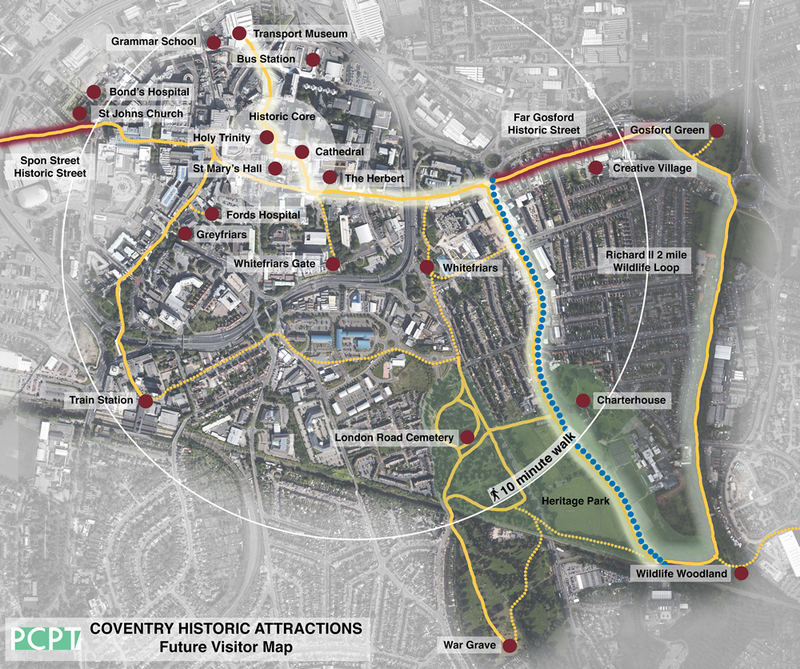 The Historic Coventry Trust has worked with local people and professional consultants over the past 4 years to develop a plan which fully restores the buildings and brings them into use as part of a wider Heritage Park. The park will include fields and woodlands as well as the Joseph Paxton designed arboretum cemetery opposite. In the Charterhouse itself, the Trust plans a visitor attraction, centred on the Priory and Refectory, with a display illustrating and describing the history of the city through the Heritage Park – from monastery, the Battle of Gosford Green, The Dissolution, Stephenson, Paxton and the industrial heyday through to the war. The wall paintings will be a major feature, as will the altar stone from the church, incorporated into a fireplace following the Dissolution. The trust are delighted to have been awarded a £4.7 million grant from Heritage Lottery Fund to commence the first stage of the new Heritage Park. • Opening of to the Charterhouse to the public as a heritage and educational venue. • Interpretative display, focused on the lives of the Carthusian monks, their lifestyle, cultural importance and influence, medie…val and Tudor heritage and the history of Coventry. • In the original Great Cloister, the footprint of two monks’ cells will be reconstructed which will illustrate how the monks lived and an acoustic box in one cell will demonstrate silence, a feature of the Carthusian order. 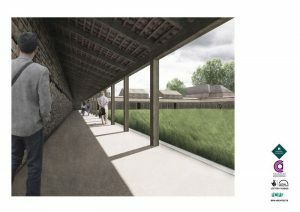 • Organic gardens will be replanted and the Great Cloister will remain as open space, with information on archaeological remains included in the display and interpretation. • Restoration of the former stables and coach house and a new, purpose built café with terrace and a first floor venue, suitable for weddings, celebrations, conferences and training will create a hub of activity, centred on heritage and helping to sustain the Charterhouse. • Parkland around the main buildings to be re-created to the setting of the Charterhouse as a monastery. 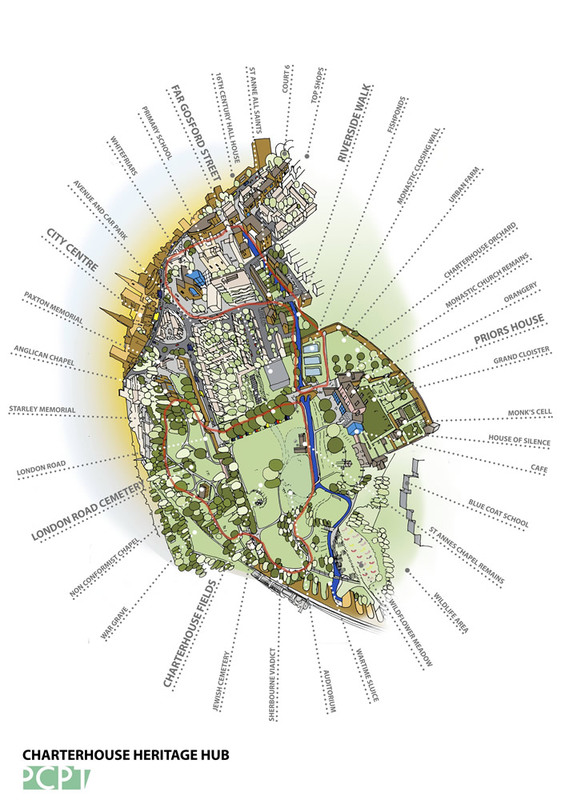 It includes meadows, orchards and fishponds as re-instated heritage features. • The car park will be extended to provide for new uses on site and vehicular access will be improved. Charterhouse will close to the public in Autumn 2018 to enable the restoration works to commence.